Helm CONNECT automatically emails crew change notifications to your crews whenever your crew dispatchers publish or modify a crew change. These emails list the asset a person is assigned to, the position they're working, and the date and time they need to arrive at the asset. See this support article for a complete list of our email notifications. Crew change notification emails now contain 'Acknowledge' and 'Decline' buttons so your crews can confirm their schedule with one click. You can now send crew change notifications by text message. These messages also contain 'Acknowledge' and 'Decline links, so your crews can confirm their schedule with one touch. Helm CONNECT continues to send crew change notification emails whenever a crew change is published or changed. For each person who wants to receive the notification by email, you'll need to enter a valid email address in the Email field on the Details sub tab in Management > People > People, and confirm that the Crew Change Notification field is set to Email. No additional setup is required. For each person who wants to receive the crew change notification by text message, you'll need to enter a valid cell phone number in the Cell Phone field on the Details sub tab in Management > People > People. This number must contain the country code and area code. NoteIn Version 1.13, the Crew Change Notification field on the Details sub tab in Management > People > People is set to 'Email' by default. You'll need to set this field to 'Text' or 'Email and Text' to send text messages. To send crew change notifications by text message, we use a webhook in Helm CONNECT. This webhook sends data to a communication provider so text messages are sent in real time. Our webhook is designed to work with Twilio, a leading SMS provider. Please read this article to learn how to set up the integration between Twilio and Helm CONNECT. Email: You'll see two buttons: Acknowledge and Decline. Text message: You'll see two links: Acknowledge and Decline. When you click one of the buttons in the email or one of the links in the text message, you'll be taken a web page that confirms your response. 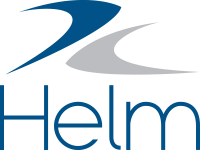 You don't need to log into or have access to Helm CONNECT to reply. Once you've replied by email or text, you can't change your response. If you need to change your response, please contact your crew dispatcher. If your cell phone doesn't have a touch screen, use your arrow keys to navigate to the link then select it, or copy the link into your phone's web browser to respond. If your phone is not web-enabled, you can't reply to the text message. If a crew change is unpublished or deleted, Helm CONNECT will send a crew change notification email or text about the change, but the notification won't contain the Acknowledge/Decline links. A green thumb up means a person acknowledged the crew change. A red thumb down means a person declined the crew change. A grey thumb up means a person hasn't responded. When you hover over the red and green thumbs, you'll see a tool tip with the date and time of the response. Click the green thumb icon to undo the 'Acknowledge' response. Two grey thumbs will appear. Click the grey thumb down icon to make the red thumb appear. This records a 'Decline' response. The date and time in the tool tip will always reflect the latest change. When you're editing responses, two grey thumbs indicate that a person hasn't replied yet.